In the world of private label skincare there are ingredients that are known and used for one specific purpose, and then there are ingredients that cover multiple bases at once. Both are important, both have their place and both work. But sometimes it’s so nice to work with ingredients that do more than one thing. Whether you have your own private label skincare line or just like your at home skincare routine to be simple and effective, these private label skincare ingredients are there for you to do all you need to do with minimal fuss and maximum results. One very simple yet extremely versatile and effective private label skincare ingredient is Jojoba oil. Suitable for all skin types, Jojoba oil not only moisturizes, protects, soothes and youthens, it also teaches the skin to balance itself. This makes it perfect for literally every skin complaint you can think of since everything from dryness to overly oily skin and even acne are results of the skin being out of balance. 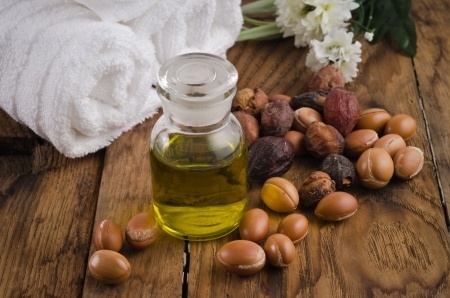 By applying Jojoba oil, whether in the form of a serum, lotion, soap or mask, the skin is brought away from damage and inflammation and back into harmony and health. Additionally, Jojoba oil is actually a liquid plant wax, not an oil, making it great for anyone who is not a fan of the idea of oil going onto their face or body skin. Reishi mushroom is another private label skincare multi-tasker, and for similar reasons to Jojoba oil. Reishi is an adaptogen and teaches and supports the skin to better respond to and cope with stress and inflammation. Adaptable skin is low maintenance skin because it can better handle whatever life throws at it so that you don’t have to constantly worry about it. Additionally, Reishi is extremely high in antioxidants that fight wrinkles and other signs of aging, such as collagen loss. Used in washes, creams, serums and masks, Reishi mushroom is one of the most intelligent private label skincare ingredients you can use for covering multiple bases at once. There are many more private label skincare ingredients that multi-task and you by no means should feel limited by the two listed above. However, both Jojoba oil and Reishi mushroom are great places to start as they are as sophisticated as they are economical and effective. So take your skincare game up a notch or two and incorporate one, or both, of these private label multi-taskers into your skincare routine.